Make a Difference on Your Vacation! An important part of enjoying Maui – whether as a resident or visitor – is assuming the responsibility to also care for Maui. This idea is embodied in the Hawaiian concept of kuleana: if we are fortunate to enjoy Maui as our home, playground, or vacation destination, then we accept the kuleana (responsibility) to take care of the island. Whether you’re visiting for a week or a month, there are ample opportunities to get involved and give back. If you have a volunteer opportunity not listed below, please email [email protected] and we will add it to our list! A number of organizations host weekly volunteer days, making it an easy addition to your trip’s itinerary. From restoring a native Hawaiian site in the culturally significant Honokowai Valley to eradicating invasive weeds along the stunning Waihee coastline, there’s no shortage of opportunities to exercise your kuleana. In most cases, it’s best to RSVP at least 48 hours in advance with the organization. 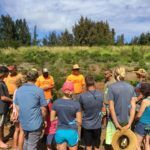 (Check website for specific location) Help restore South Maui’s coastal dunes, maintain trails, and remove invasive species. 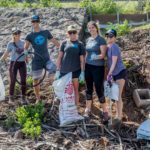 If your vacation schedule allows, don’t miss the opportunity to join one of Maui’s monthly volunteer projects (most are hosted on Saturdays). 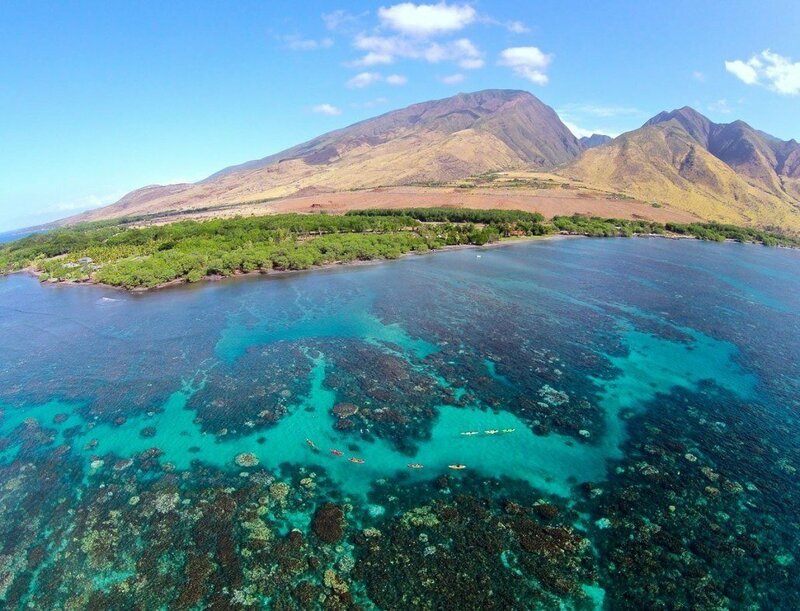 If you’re an ocean lover, dive in with the Polanui Hiu team to participate in reef fish surveys off Lahaina, or help remove marine debris with the SHARKastics program. The Friends of Haleakala National Park also hosts multi-day service learning trips, but note that advanced sign up is required. Wailuku, HI 96793 Help remove invasive species, clean up rubbish, and take part in other important volunteer activities to support a healthy park ecosystem. 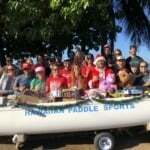 9am – 3pm Lahaina Harbor or Ma’alaea Harbor. Check schedule. Underwater reef clean ups and land based restoration projects, educational sessions and citizen science, that raise money and lend volunteer support to local non-profits. Registration for water-based clean ups is $30. 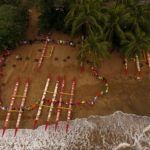 (View 2017 beach cleanup schedule) Surfrider Maui tackles the issue of marine debris each month at a different beach. Join the team and help clean Maui’s beautiful beaches! (Drive to end of road and through gate) Remove rubbish from the Maui coastline, and help fill a 40-ft container full of ocean nets and hard plastics to be recycled into Adidas tennis shoes! Varies Haleakala National Park Monthly Service Trips (Friends of Haleakala) TBD Haleakala National Park These 3-day, overnight service trips maintain backcountry cabins and restore native habitats. An incredible way to experience Haleakala! Volunteering your time and efforts – even for a few hours – can go a long ways towards preserving Maui’s cultural and natural resources. We strongly encourage you to explore the many volunteer opportunities here on Maui. Not only will volunteering feel good, you’ll also be exposed to a special side of Maui – one that many visitors don’t get to experience. In addition to volunteer opportunities, there are also a number of environmental events and festivals hosted throughout the year. These events are educational, interactive, and fun, and showcase the efforts of local environmental organizations. Some events also center around a service project, and all are a great way to get involved with Maui’s community. Kalama Park A series of events held during Maui’s peak humpback whale season. Each occasion and activity is designed to build awareness of marine animals and their ocean habitat. Featuring engaging, fun and educational events. A weekend featuring top whale researchers, photographers, and filmmakers.Event supports Whale Trust Maui, a whale research & education nonprofit. Keopuolani Park Amphitheater Celebrate Maui’s annual Earth Day Festival with environmental organizations, activities, live music, and food vendors. June 16 International Surfing Day Celebration 9am – 12pm TBD Enjoy a beach side celebration of surfing with Maui’s local Surfrider chapter. Includes a community beach cleanup and (of course) surfing! TBD International Coastal Cleanup TBD TBD Join the Maui community in an international day of marine debris removal, part of the Ocean Conservancy’s marine debris efforts. Cleanups are hosted around Maui. 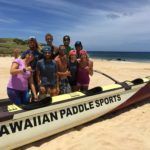 You can also learn more about Hawaiian Paddle Sports’ Malama Maui giveback program. Through this initiative, we volunteer and donate to a different environmental or community organization each month. In 2016, our Malama Maui program donated over $33,000 and 550 volunteer hours to local nonprofits.